After multiple visits to the doctor, you still have not found a reason for the excruciating headaches, upset stomach, and crippling joint pain you have had for some time. In years past, you were a sports enthusiast. Every weekend you would play baseball or soccer with your friends. Now the pain in your hands and in your joints is so crippling that you were forced to stop.The pain makes you feel tired all the time. Light hurts. Going outside without sunglasses seems impossible. Noise makes you crazy. You feel irritable, and you want to lash out at your friends.People who were once close to you have started to shy away. You feel depressed, and you have no idea why you are forced to endure with such excruciating pain. Then, the doctor tells you something unexpected. The source of all your agony is Lyme disease. After doing a little bit of research, you realize that on an annual basis over 300,000 people are diagnosed with this pain inducing disease. It’s nice to know that the pain was not all in your head and that you are not alone in dealing with this disease. Yet, this knowledge does little to remove the agony you face daily. Lyme disease is a disease that is caused by bacteria called Borrelia burgdorferi. It is transmitted by the deer tick. Deer ticks can be found in different parts of the country, including Minnesota, Northern California, and Wisconsin. This is frustrating because you can go to the doctor, get diagnosis after diagnosis, get treatment after treatment, and still have no positive results. In fact, patients who get bit by a deer tick and who do not develop the rash at the point of injury will usually bounce around from doctor to doctor for more than two years. All the while, they are dealing with excruciating pain. If you are reading this, it is likely that your doctor has already diagnosed you with Lyme disease, and they have put you on a treatment regimen. 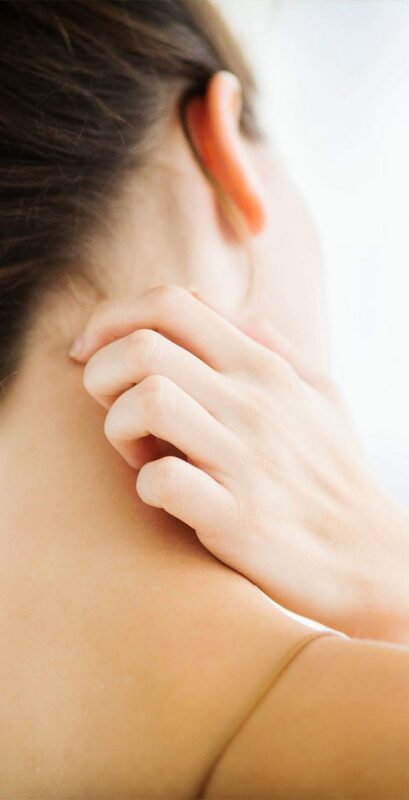 It is also likely that while some of your symptoms have cleared up, the joint pain and debilitating headaches continue. This is not uncommon. Many individuals diagnosed with Lyme disease find relief from some of the annoying symptoms, but the pain, the hampered motor skills, and the inflammation persist. This is in part because of the way Lyme disease compromises your immune system. It leaves your body prone to inflammation and to infection. Many Lyme disease sufferers say that some days they cannot even get out of bed. It is not uncommon for adults diagnosed to quit their job. Children and teenagers diagnosed with Lyme disease may opt to study at home because of the pain and frustration of Lyme disease. The Emotional Effects of Lyme Disease? Lyme disease pain can have a negative emotional effect on you. There are two reasons why. First, as you go through the process of trying to identify why you are in pain, you visit multiple doctors. Each doctor visit, each prescription drug, and each therapy can cost hundreds, if not thousands, of dollars. As you watch your bank account whittle and your pain symptoms stay the same, it can be discouraging and depressing. It is not uncommon for well-meaning friends and family members to treat you like your Lyme disease symptoms are all in your imagination. Lyme disease and Lyme disease pain is lonely. It is exhausting. It isolates you from others, making socializing and leaving the house difficult. It is common for Lyme disease sufferers to have anxiety and depression. There is no quick or easy fix for Lyme disease pain. It is complicated, it requires time, and it requires patience. However, we want you to know that the pain can be managed. When you come into our clinic and you talk to us about your symptoms, we will listen to you, and we will believe that the pain you are experiencing is real. We are eager to offer our support from the moment you step foot into our clinic until we can craft a satisfactory pain management system that works for you. We understand that the pain you feel is uniquely yours. For that reason, the treatment we offer you will be individualized, specifically designed to meet your needs. Our goal is to offer you a long-term and a short-term pain management option. We are committed to you getting better, and we will never give up on you. Lyme disease is an insidious sickness. It robs you of your health, forces you to endure pain, and isolates you from others. Let us work with you to help you get back to the way your life was before Lyme disease.